Noiseless design lets kids fidget quietly without distracting others. The coolest chewy beyond legend! Scales provide cool sensory stimulation and are great for fidgeting. Need to gnaw? 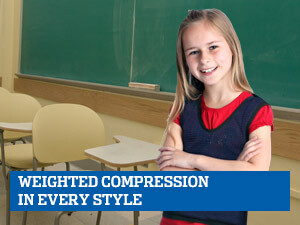 Soft and stretchy fabric protects hands and provides gentle compression. This oh-so-soft and lightly weighted blanket helps kids calm down to relax or sleep. Helps children sensitive to loud noises or with sensory processing disorder better function in loud environments. This twistable fidget toy fits right in the palm of your hands so you'll never want to let go! This pocket-sized manipulative has squishy gel to engage fidgety fingers and support fine motor skills. Colorful and tactile for sensory exploration fun! Safe for light chewers. Squishy multi-sensory balls to squeeze the stress away! One makes a crunchy noise and the other makes no noise. Create your own calm with activities that teach self-regulation. Build fine motor strength and exercise those hands! Hide the farm-themed pieces in the putty and feel to find them with your fingers. Squishy, fringe-y bracelets make a fashion statement! Provides tactile sensory feedback on hands and arms. Two soft plush mazes that keep your fingers busy and engaged. A tough-as-rocks silicone chewy for active chompers. Wear it everywhere! Squeeze and relax with putty that contains real lavender essential oil. Twist, fidget and problem solve! The bright colorful pieces engage hands and attention. 24 fun bean bag activities that help kids with learning and development challenges. Fun shapes that kids love to wear. Chewelry that's cool! Bounce, roll and catch! Watch the glitter swirl and the balls light up. Calm down and strengthen hand muscles all at once with this Calm Emotions Putty than changes colors as you use it. One side is smooth and the other side is bumpy for extra tactile feedback. These straws withstand tough biters and provide sensory input that helps calm and focus with every bite. This finger fidget adheres to just about any surface where fingers need to fidget. 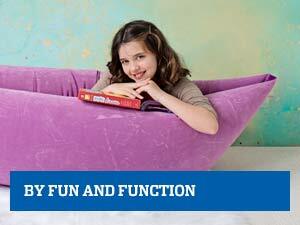 A mini seat cushion for younger kids that's comfy and supports their hips and lower back. Sensory Solutions. Some people think in terms of problems. 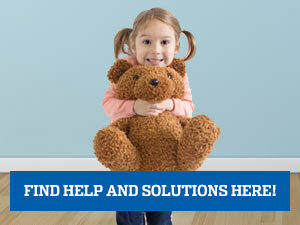 At Fun and Function we think in terms of solutions and for every challenge we know there is more than one solution. 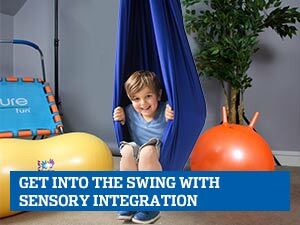 Sensory Solutions are tools that address the needs of some of the most common challenges facing parents, teachers and therapists working with children with special needs. 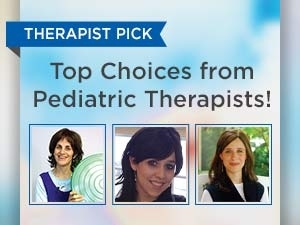 We have put together some of our favorite and most helpful tools for Autism, ADHD, Auditory Sensitivity, Biting, Character Development, Classroom Learning, Early Intervention, Homework and Test Taking, Picky Eating, Toilet Training, Sensory Dieting, Sleep Help, Time Management, Transitions, Traveling and Visual Motor Integration. We have directed those tools into these categories to make your selection and purchasing a pleasurable experience that is targeted to your specific needs. You will find some of our latest and greatest items such as our weighted lap pads and deep pressure vests, but you will also find some hidden treasures like using earphones while test taking or a fidget while transferring from one situation to the next. So, step into your child’s world. Step “out of the box.” Think like a problem-solver and become part of the solution. Items in your cart total $99 or more. Order must be completed online. 13% Shipping charge applies to POs and orders by phone, mail or fax. Oversize products require a custom shipping quote from UPS. We will contact you with a quote for approval after you complete checkout.